At least one of the many phones being shown this week at CES has tech that sounds straight out of science-fiction. 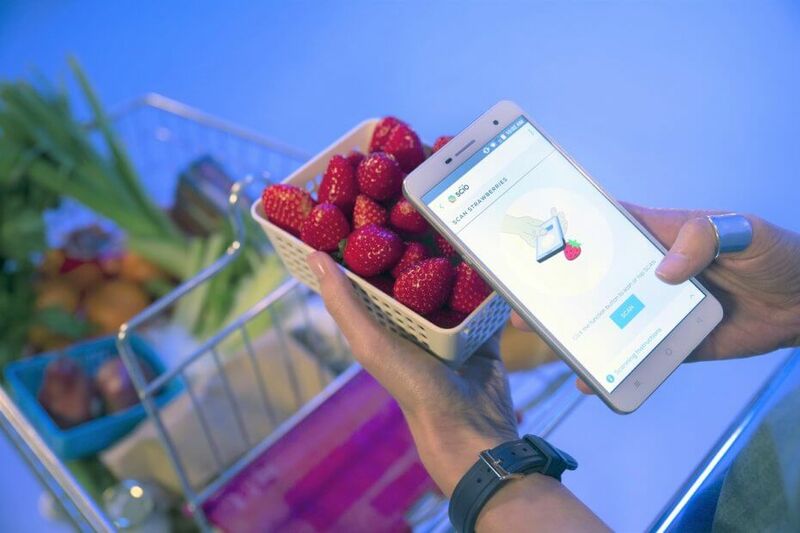 The Changhong H2 has a built in spectrometer, allowing it to measure the sugar content in fruits, body fat, and more. The Verge reports that a miniature near-infrared spectrometer called SCiO was successfully crowd-funded, and has now found its way into the H2. The sensor can read a molecular fingerprint using the infrared signal. App developers can use the tech to create a database of various items, letting phone users scan objects and then match up against the registered ones from the developer. To show off the practical applications, the phone was used to pick the sweetest strawberry from a bunch, differentiate between a real Viagra pill and a fake, and measure body fat. The measurements aren't perfect, as it seemed to vary a bit on its assessments of both body fat and strawberry sweetness, but on the whole it's still pretty impressive. The H2 is planned for China this year, with no announced plans for a release in North America yet. Digital Trends notes that the sensor technology itself will be sold as a standalone this year for $249. Changhong says it will be building its own set of apps that use the spectrometer technology, but also plans to offer support to third-party app developers with a specialized SDK.